Di-Gize Vitality Essential Oil may support healthy digestion and overall wellness when taken internally as a dietary supplement*. Includes naturally occurring constituents such as menthol, citrol, and zingibere. It is an incredible blend of eight different essential oils that when taken internally before meals especially in combination with digestive enzymes, will support healthy digestion. Complements ComforTone and JuavTone Supplements. This is an easy reference guide for Di-Gize Vitality Essential Oil Blend. It will tell you how to use your oil blend and what to use it for. It will also provide you with some fun tips and testimonials! Want to Purchase Therapeutic Di-Gize Vitality Essential Oil? Go to the Oil Shop! Buy Di-Gize Oil Here! What is in Di-Gize Vitality? There are eight different essential oils in Di-Gize. They are listed below along with a brief description of each oil. Peppermint Vitality Essential Oil (Mentha piperita) is one of the most highly regarded herbs for supporting normal digestion, including promoting healthy intestinal function and gastrointestinal system comforts*. Lemongrass Vitality Essential Oil (Cymbopogon flexuosus) The Benefits of Lemongrass include supports healthy digestive system*. Contains the naturally occurring constituent geranial. Juniper Essential Oil (Juniperus osteosperma) It may work as a detoxifier and cleanser, and supportive to the urinary system*. It is a natural cleanser and detoxifier. Patchouli Essential Oil (Pogostemon cablin) has a sweet and rich aroma that may improve the appearance of dry and chapped skin*. Ginger Vitality Essential Oil (Zingiber officinale) is supportive of the digestive system, ginger is commonly used to soothe, comfort, and balance digestive discomfort*. Spicy and warm. Fennel Essential Oil (Foeniculum vulgare) The Benefits of Fennel date back to the ancient Egyptians. It is stimulating to the circulatory, glandular, respiratory, and digestive systems*. Tarragon Essential Oil (Artemisia dracunculus) The Tarragon Plant and Essential Oil is supportive to the digestive system and supports overall wellness*. Anise (Pimpinella anisum) is used to support a healthy digestive system*. 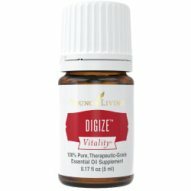 What are the Documented Uses for DiGize Vitality Essential Oil? Supports healthy digestion function and healthy digestive system*. 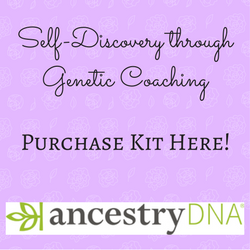 Want to Learn about Di-Gize's Emotional, Spiritual and Other Uses? Then go to the Di-Gize page! Dietary Supplement: place several drops in capsule with olive oil and take internally. (50:50 dilution-one part essential oil: one part vegetable oil) if prefer dilution. Can this Oil be used for Animals? Yes! Always start slow. With a small dog or cat use a toothpick amount to start. (Dip toothpick in bottle to get that amount). Definitely use it for dogs and horses. Horses so need healthy digestive support that I always keep some at the barn. What are the Safety Precautions? If pregnant or under a doctor's care, consult your physician. Generally safe for children over 2 years of age. Place in honey or agave nectar before meals.